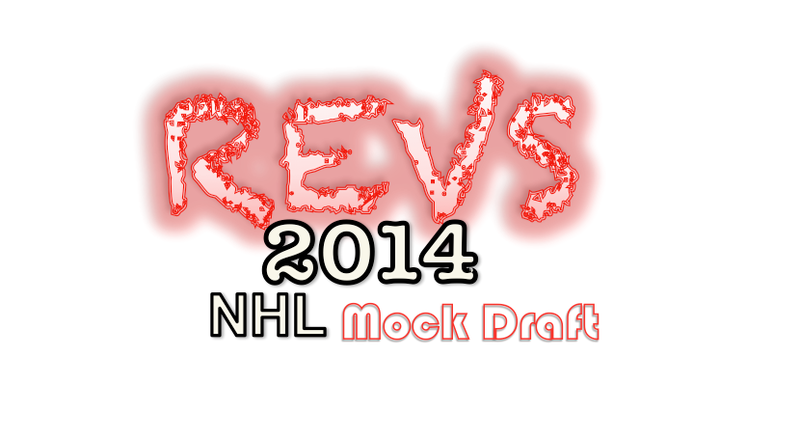 What to make of the 2014 NHL Draft Top 4 Prospects? The city of Edmonton and Oiler fans everywhere are buzzing about this years NHL Entry Draft coming up at the end of June. Granted there is not much else to be focusing in on with the exception of the hiring of Craig Ramsey yesterday as a assistant coach. The difference this year is the unpredictability of who the Florida Panthers and Buffalo Sabres will be picking and what will be left for the Edmonton Oilers. From the best information I can gather the Oilers so far have the players ranked in this order if they could select their Top 4 rankings. They will select the highest ranking player they have listed and be happy doing so. The only thing that may stand out different for the Oilers from most of the NHL is where they rank Draisaitl. Very few teams rank him in their top 3 and would much sooner have Bennett in that slot. Until recently I was pretty sure needing offence the Panthers would for sure select Reinhart or Bennett but a recently posted article here may tell us different. Ekblad may be a risk but Florida even last year did not go with the high offensive output of Drouin instead selected the big man-child from Finland. It is very likely this could be the situation this year and a franchise defensemen is not such a bad prize to grab. Buffalo is up next. On their website they specially linked this video to their site evaluating players at the draft. Reading too much into this? I don't think so. There is lots of other opinions and this video could be a tell they want Sam Reinhart. Should he be off the board then it's highly likely a low scoring team like Buffalo will go with Bennett. So if the Oilers do have their rankings as listed above by me, it's almost a certainty that Reinhart will be gone in the top 2 picks regardless. That leaves their list as they pick up Ekblad at the #3 spot if Florida takes Reinhart but if Ekblad goes to Florida and Buffalo takes Reinhart, then the Oilers will select Aaron Ekblad. I am pretty sure when the Oilers walk to the podium June 27th they will be selecting a large, skilled and smart franchise Defensemen in EKBLAD or a potential #2 large bodied, strong, skilled Center in DRAISAITL. Either way, the Oilers will be getting bigger and more skilled in one of their most desperate needs moving forward. It's a good year and Oiler fans have something to be excited about. It's time to decide on "Leon Draisaitl"
Ok, before you slaughter me here, I am interrupting my weekly article here at oilersjambalya.com on the Oilers breakdown by position in light of the upcoming draft. Take a look here to understand my reasoning on why we should take Leon Draisaitl with the #3 pick. Right now we will not have Sam Reinhart available at the #3 spot regardless of what your hearing, he will be gone. Maybe, just maybe we have Aaron Ekblad available. I believe he is a potential #2 d-man and that is hard to come by but our problem is we can't wait for the 2-3 years it takes for him to grow into being a star a=in the NHL. The fans will have none of it. We also need a #2 center and we need it now. Nothing seems available without giving up a valuable part of this franchise and we need a larger bigger centermen to take on tougher centre's in this league. Could Leon Draisaitl be that man and start this coming season? I believe he is ready and at worst he has one more year to develop if not able to shine in training camp and in 9 exhibition games. This team can't afford to finish worse then 20th next season without huge backlash (you can take that to the bank) and Leon may be the best option. If you read the above article you would probably agree Sam Bennett will not be the option. I personally believe he is Gagner2 in the making and on a team needing more and picking at #3 has other needs. 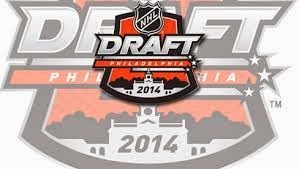 I predict Leon Draisaitl will be a Edmonton Oiler come the day of the 2014 NHL Entry Draft. Like it or not, he is probably our best option. Got a comment , leave it in the comments section and we can discuss this more.